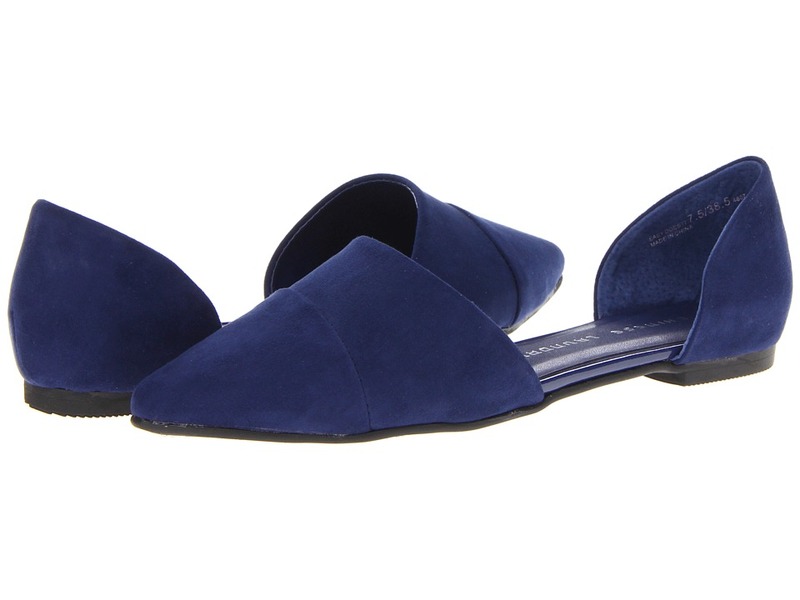 Kick back with these chillaxed Chinese Laundry Easy Does It d~Orsay flats! Available in a variety of uppers. Easy slip-on wear. Pointed toe. Man-made lining. Lightly cushioned man-made footbed. Man-made sole. Imported. Measurements: Weight: 6 oz Product measurements were taken using size 8.5, width M. Please note that measurements may vary by size. Weight of footwear is based on a single item, not a pair. Make a sweet splash with the saucy Chinese Laundry Avenue sandals! Adjustable buckle closure at ankle strap. Rich suede upper. Man-made lining. Lightly cushioned man-made footbed. Wrapped platform and heel. Man-made sole. Imported. Measurements: Heel Height: 5 1 2 in Weight: 13 oz Platform Height: 1 1 2 in Product measurements were taken using size 8, width M. Please note that measurements may vary by size. Weight of footwear is based on a single item, not a pair. Add a dose of divalicious drama to your look with these killer sandals! Adjustable buckle closure. Strapped patent upper. Man-made lining. Lightly cushioned man-made footbed. Wrapped platform and heel. Man-made sole. Imported. Measurements: Heel Height: 5 1 2 in Weight: 13 oz Platform Height: 2 in Product measurements were taken using size 7.5, width M. Please note that measurements may vary by size. Weight of footwear is based on a single item, not a pair. Soak up some sun in the effortlessly-chic Rubie sandal! Suede, velvet, or synthetic upper with scalloped detailing. Adjustable ankle strap with buckle closure. Open-toe silhouette. Single strap at vamp. Man-made lining. Lightly padded footbed. Wrapped heel. Synthetic sole. Imported. Measurements: Heel Height: 2 3 4 in Weight: 7 oz Product measurements were taken using size 7.5, width M. Please note that measurements may vary by size. Weight of footwear is based on a single item, not a pair. Draw a crowd and dance the night away in the eye-catching Chinese Laundry Alyssa stiletto sandal! Man-made upper. Ankle strap with buckle closure. Open-toe silhouette. Man-made lining. Lightly padded footbed. Wrapped platform and heel. Man-made sole. Imported. Measurements: Heel Height: 5 in Weight: 12 oz Platform Height: 1 1 2 in Product measurements were taken using size 8, width M. Please note that measurements may vary by size. Weight of footwear is based on a single item, not a pair. The Penny is a stylized gladiator sandal perfect for summer outings and weekend rendezvous. Available in a wide variety of uppers. Adjustable buckle closure at ankle with rear zipper. Open toe cross-strap silhouette. Man-made lining. Leather insole. Flat heel. Imported. Measurements: Heel Height: 1 2 in Weight: 6 oz Shaft: 4 1 2 in Product measurements were taken using size 8.5, width M. Please note that measurements may vary by size. Weight of footwear is based on a single item, not a pair. Add some unconventional fashion to your ensemble with the Jingle bootie. Sheer lace upper. Ghillie lacing and rear zipper closure. Peep toe silhouette. Man-made lining. Lightly-padded footbed. Wrapped stiletto heel. Leather outsole. Imported. Measurements: Heel Height: 4 1 4 in Weight: 8 oz Shaft: 6 in Product measurements were taken using size 7.5, width M. Please note that measurements may vary by size. Weight of footwear is based on a single item, not a pair. 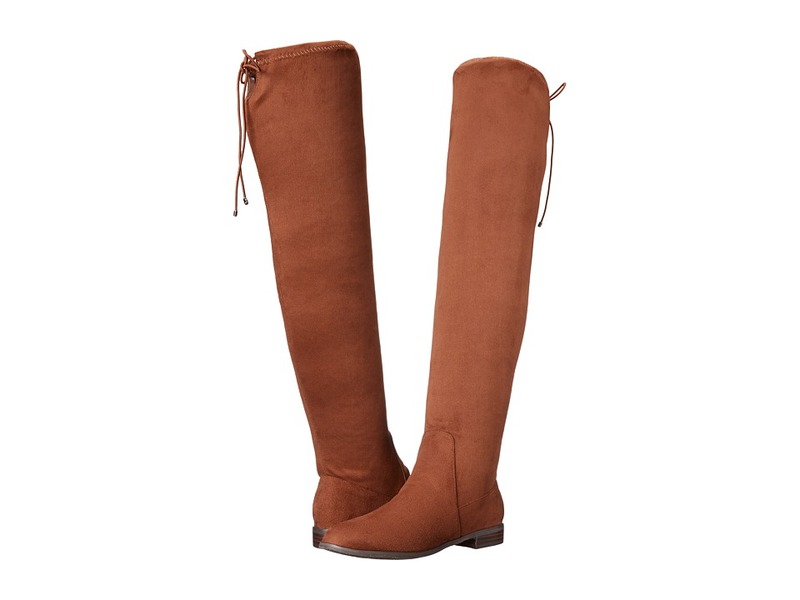 Wrap your legs in comfort and class with the over-the-knee Rainey boot. Faux leather upper. Pull on construction with rear tie closure. Round toe. Man-made lining. Lightly-padded footbed. Stacked heel. Synthetic outsole. Imported. Measurements: Heel Height: 1 in Weight: 12 oz Circumference: 14 in Shaft: 26 in Product measurements were taken using size 7.5, width M. Please note that measurements may vary by size. Weight of footwear is based on a single item, not a pair. Your style will be sky high in these Ultra chic wedge boots! Pull-on construction. Textile upper. Soft textile lining. Cushioned footbed. Synthetic sole. Imported. Measurements: Heel Height: 2 3 4 in Weight: 14 oz Circumference: 16 in Shaft: 21 3 4 in Product measurements were taken using size 8, width M. Please note that measurements may vary by size. Weight of footwear is based on a single item, not a pair.